CBS Sports senior golf writer Kyle Porter and host Chip Patterson take you inside the ropes of the golf world, on the PGA Tour and beyond. 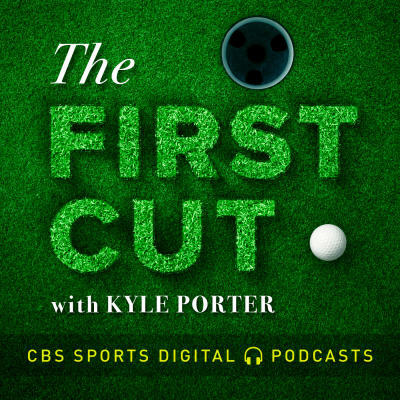 Tournament previews and picks, deep dives into the players and storylines that matter and guests from around the sport keep you up to date on the latest in the golf on the First Cut Podcast. Kyle Porter and Chip Patterson talk DJ's Sunday collapse and Tiger's 2019 future. First, celebrating Tiger's Friday night out with the green jacket (1:20) and then a deep dive on where we might see him log a record-tying PGA Tour win (5:50). Then, adjustments to Dustin Johnson's stock after a blown lead in Hilton Head (20:55) and the depths of the grind for Jordan Spieth (32:19). Kyle Porter and Chip Patterson make picks for the weekend action in Hilton Head, South Carolina. First, why Tiger's physical transformations play a key part in appreciating his current success (2:20) and recapping the podcast's post-Augusta trip to Pinehurst (8:30). Then, previewing the weekend ahead with a strong field RBC Heritage (15:21) and a discussion of the best player without a PGA Tour win (19:00). Kyle Porter and Sean Martin of PGATour.com join Chip Patterson from Augusta to recap Tiger Woods' win at the 2019 Masters. First, the magnitude of Tiger's win (1:00), the impact of weather (12:00), what to make of Tony Finau and Brooks Koepka's performances (22:00), what the vibe was like Sunday morning for the uncommon start (35:00), biggest surprises/disappointments (41:00) and more. Kyle Porter and Chip Patterson recap the first two rounds of the 2019 Masters. First, what to make of the crowded leaderboard, who to pick to win the green jacket. Then, the highlights from Tiger Woods and what to make of Rory McIlroy's struggles. Kyle Porter, Robby Kalland and Chip Patterson take a look at the betting odds for the 2019 Masters. With recording live on site at Augusta National, the conversation begins with players to fade (2:00), Robby's pick to win (10:30) and the places to find real value on the odds board (15:00). Then, picks for head-to-head tournament matchups (18:30) and Kyle's last-minute takeaways after talking to the players on Tuesday (25:00). Kyle Porter joins Chip Patterson live from Augusta National with the latest on the 2019 Masters. First, a review of the Augusta women's amateur (1:44) and a stock check on Texas Open winner Corey Conners and Rickie Fowler (8:31). Then, whether we should expect -- and what defines -- a "good winner" at the Masters (19:30), the influence of rules officials with a review of Tiger Woods' "Dropgate" in 2013 (25:30) and final notes on Sergio, Rory and Spieth (31:21). Kyle Porter and Chip Patterson are joined by Sean Martin of PGATour.com to preview the 2019 Masters. First, a spotlight on Lucas Bjerregaard after his showing in match play (3:52) and a discussion on how we should rank and rate Tiger Woods as a contender to win another green jacket (11:28). Then, whether Augusta National will be the breakthrough spot for Jordan Spieth (23:50), Sean's picks to win (31:23) and more. Kyle Porter and Chip Patterson recap Kevin Kisner's win over Matt Kuchar, Tiger and more from Match Play. First, what stood out from Kisner's match play win (0:30) including his standing a potential Ryder Cup pick in 2020 (3:00). Then it's on to Kuchar's back-and-forth with Sergio Garcia (6:39), Tiger's win against Rory (13:17) and varying levels of concern for Jason Day, Justin Thomas and more top players that failed to get out of group play (17:20). Kyle Porter and Chip Patterson discuss stats, facts, notes and stories from throughout the history of The Masters. Some of our key numbers include the most common number of tries before a winner breaks through (2:00), some stats to back up Jack Nicklaus' argument as the GOAT at Augusta (8:00) and go deep on Tiger Woods' bogey-free second since all four days in 1997 (14:00). Plus, the highest score to ever win, most common cut numbers (17:13), how and when the cost of a Masters badge has inflated over time (27:27), the best career scoring average and more from the championship's storied history (31:30). Kyle Porter and Chip Patterson react to the draw for the WGC Match Play this weekend in Austin. First, whether match play success can translate to stroke play success (4:30), Rory and DJ as heavy favorites to advance to the quarterfinals (9:00), Bryson DeChambeau making his match play debut (13:50). Plus, it's Tiger Woods's first tournament in Texas since 2005 (23:00), whether Jordan Spieth is "close" to putting it all together (24:21), picks to win and much more (29:45). Kyle Porter and Chip Patterson talk Rory, Masters and preview the Valspar Championship. First, Rory McIlroy's Players win falling below the fold in the shadow of March Madness (1:30), why The Open being at Royal Portrush could be beneficial for his chances to win at Augusta (7:55) and Masters Corner takes a look at players with recent success over the last 10 years (10:45). Then, a preview of the Valspar Championship field with picks to win (23:00) and what we can learn from Dustin Johnson's performance this week (27:00). Kyle Porter and Chip Patterson recap Rory McIlroy's win at The Players. First, celebration for an incredible finish at TPC Sawgrass with a packed leaderboard and plenty of movement (2:00), then a more specific look at Rory's play on the weekend (08:10) and how he outlasted the field to claim his first Players win. Then, Jon Rahm's delayed but predicted meltdown (21:25), Tiger's disaster at the 17th on Saturday (28:40) and what Rory's win means for the Masters outlook (35:00). Kyle Porter, Chip Patterson and Uproxx Sports' Robby Kalland make picks and predictions for The Players. First, Robby's experience from playing TPC Sawgrass and guesses on the winning score (6:45), why long hitters might be helped by the condition (12:30) and expectations for Tiger Woods (19:17). 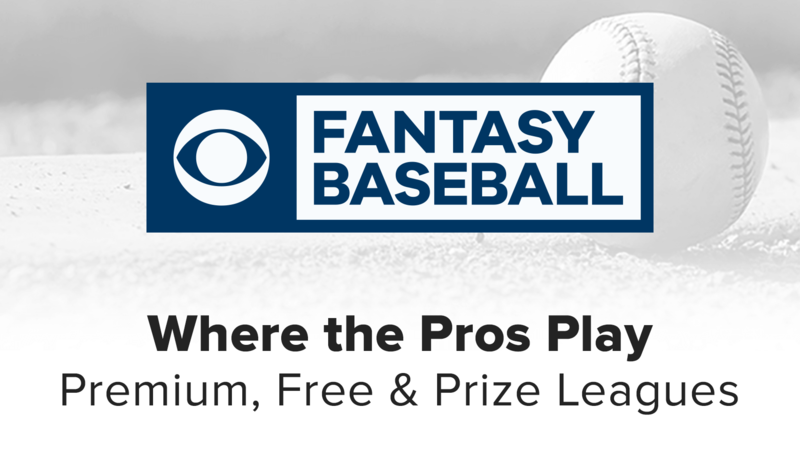 Plus, picks to win (23:27), players to fade (29:33) and more. Kyle Porter and Chip Patterson recap the Arnold Palmer Invitational and look ahead to the Players Championship. First, why Bay Hill's setup played into the hands of European stars (1:10), whether Rory McIlroy's Sunday performances are an indicator of struggles or a future breakthrough (5:50) and if Rickie Fowler can ever be trusted to win when he's in contention (11:51). Plus, why Francesco Molinari is playing the best golf of his career at 36 (15:30) and how The Players compares to the year's biggest events (28:10). Kyle Porter and Chip Patterson preview the Arnold Palmer Invitational at Bay Hill. First, reason to be concerned about Tiger Woods' neck injury (1:08), the continued fallout from the USGA vs. the PGA Tour stars in regards to rules (12:25) and what it might look like for the tour to break out on its own (21:06). Then, the keys to winning at Bay Hill (31:05), storylines to watch and picks to win (35:21). Kyle Porter and Chip Patterson recap the Honda Classic in Palm Beach and discuss Justin Thomas' war of words with the USGA. First, Vijay Singh's transition into fan favorite (2:27), how to grade Rickie Fowler's Sunday surge (10:25), whether Brooks Koepka had one of the best weeks in the field (13:50) and whether Ryan Palmer had one of the best rounds of the year with his 63 (16:02). Then, Justin Thomas going toe-to-toe with the USGA (18:11) and how it continues a trend of player empowerment across professional sports (23:05). Kyle Porter and Chip Patterson compare Dustin Johnson and Rory McIlroy after DJ's win in Mexico. First, the robotic greatness of DJ with a hot putter (1:48), where Rory fell short on Sunday (8:21) and the challenges of converting incredible talent into consistent winning on the PGA Tour (15:00). Plus, grading Tiger Woods' performance in Mexico (27:15) and assembling a World Golf Championship All-Star team (32:15). Kyle Porter and Chip Patterson break down a star-studded field for the weekend action in Mexico. First, everyone's favorite late-February golfer guessing game, 'Puerto Rico or Mexico?' (1:20) and a review of the WGC format with names to watch from the exclusive field (8:35). Plus, why Adam Scott is awesome (14:00), picks to win (20:30), sleepers and storylines to follow heading into the weekend (27:17). Kyle Porter and Chip Patterson recap a windy and rainy weekend at the Genesis Open. First, what the win means for JB Holmes (1:30), what went wrong for Justin Thomas (8:25) and how we should grade Tiger's play at a course where he's never won (17:27). Plus, Jordan Spieth continues a troubling trend of late-tournament struggles (26:15) and the debate for top golfer in the game right now starts to heat up (33:30). Kyle Porter and Chip Patterson spend Thursday's rain delay discussing Matt Kuchar and more. First, the latest on the Kuchar tipping scandal (1:54), when players really start to turn their attention to Augusta (14:07), Tiger's struggles at Riviera and what to expect from him (18:26) along with other golfers to watch in the field (23:55). Kyle Porter and Chip Patterson recap the drama from Phil Mickelson's Monday finish at Pebble Beach. First, why Phil Mickelson wanted to keep playing in the darkness on Sunday (1:45) and what the win means for his U.S. Open chances at Pebble Beach in June (6:04). Plus, Paul Casey's missed opportunity (15:30), a disappointing week for Jordan Spieth and Dustin Johnson (17:58) and why Jason Day might be a sleeper pick to win a major in 2019 (29:44). Kyle Porter and Chip Patterson break down the week in golf and Jordan Spieth joins the show. First, an early preview of the weekend action at Pebble Beach (5:33), including what to expect from Dustin Johnson (10:05) after a win overseas and Brooks Koepka's comments on Sergio Garcia's DQ (13:45). Then its on to Kyle's conversation with Jordan Spieth (19:34), discussing why he's honest at press conferences (23:20), playing golf with U.S. Presidents (30:12) and much, much more. Kyle Porter and Chip Patterson recap a busy weekend in golf, starting with Rickie Fowler's win at the Phoenix Open. First, Rickie's triple-bogey on 11 was one of many insane twists and turns on Sunday (0:55) and how does the win change any expectations for him moving forward (8:40). Plus, other takeaways from the weekend action (15:30) and whether the backlash to Sergio Garcia's misconduct on the European Tour is valid after this disqualification for damaging the greens (23:10). Kyle recaps the PGA Merchandise show and Sean Martin of PGATour.com joins to preview the weekend. First, Kyle's discussions recorded in Orlando with Jim Nantz (6:20) and Lexi Thompson (13:53) along with the coolest thing he saw at the show. Then Sean Martin joins fresh off Torrey Pines to talk about Tiger Woods' first win there (23:35), how to assess the performances from both Justin Rose and Adam Scott (29:00), expectations for Hideki Matsuyama (38:13) and expert picks for the Waste Management Open (42:05). Kyle Porter and Chip Patterson recap Justin Rose's win and Tiger Woods' performance and Torrey Pines over the weekend. First, how Justin Rose elevated himself against a leaderboard of the game's top talent (5:08), what to make of Tiger's charge on Sunday (20:43) and then other weekend takeaways, including Bryson's win on the European Tour and Rory's showing in his first run at the Farmer's Open (34:10). Kyle Porter and Chip Patterson look ahead to Tiger Woods' 2019 PGA Tour debut at the Farmers Insurance Open. After Adam Long held off Phil Mickelson at the Desert Classic, Kyle and Chip break down what it means for Long (0:34) and whether this is an indicator of what to expect from Lefty moving forward (6:07). Plus, weekend takeaways from Jon Rahm and Justin Rose (11:20) and a preview of the action at Torrey Pines with Tiger, Rory, Rickie and more all in the star-studded field (19:40). Kyle Porter and Chip Patterson preview the weekend action in golf. First, why keeping an eye on the European Tour is worth it this weekend (1:31), Augusta National hosting a women's amateur (5:37) and the ceiling for Matt Kuchar in 2019 (8:03). Plus, whether to be concerned by Jordan Spieth's quotes from Hawaii (16:24) and the Desert Classic preview with picks to win (23:45). Kyle Porter and Chip Patterson review Matt Kuchar's win at the Sony Open. First, addressing the reports of Kuchar short-changing local a caddie in the fall (2:40) then on to breaking down what the win means for his 2019 season (14:28). Plus, why there's major cause for concern with Jordan Spieth missing the cut (18:16), where JT fell short and other observations from the weekend action (22:48). PGATour.com's Sean Martin joins Kyle Porter and Chip Patterson to preview the weekend action in golf. First, the value of a Ryder Cup captain (3:24), Rory's clutch gene, and how quickly we react to introspection from golf's top stars (11:28), Sean weighs in Kyle's top American golfers under 30 rankings (20:10) and finally the Sony Open preview (29:15) with picks to win and more. Kyle Porter and Chip Patterson recap an epic comeback win for Xander Schauffele in the Tournament of Champions. The conversation includes where Xander ranks among the best players under 30 (4:15), Bryson DeChambeau putting with the pin in (12:44), whether to panic about Rory's Sunday struggles (18:30), Justin Thomas' sneaky-great week (25:15) and more. Kyle Porter and Chip Patterson preview the first event of the 2019 golf calendar, the Tournament of Champions from Hawaii. First, reaction to reports of the PGA Tour adding on-course interviews during tournaments (1:32), Rory's decision to prioritize the PGA Tour over the European Tour (7:50), Kyle's nine fearless predictions for 2019 (14:03) and both a preview and picks for the weekend action in Hawaii (27:27). Kyle Porter and Chip Patterson break down the top storylines that will dominate the sport in 2019. First, Tiger pulling out of the Tournament of Champions (1:25), whether we should expect any equipment changes in 2019 (11:30), who will be this year's Brooks Koepka (18:36) and why both Tiger Woods and Jordan Spieth's response to their respective 2018 performances will be the biggest storylines of the year (25:47). Kyle Porter and Chip Patterson rank their favorite events from the 2018 season. First, a check on the stock of several stars heading into 2019 with buy/sell (2:19), including debates about Bryson DeChambeau (5:44) and the expectations for Tiger Woods (13:01). Then it's on to stacking the majors and best non-major events against each other the reveal of Kyle and Chip's top five events from 2018 (18:05). Kyle Porter and Chip Patterson review Jon Rahm's win and review Tiger Woods' memorable 2018. First, breaking down the current state of Tiger's game after back-to-back rough showings (0:43), what we can expect from Jon Rahm in 2019 (7:22), then grading Tiger's 2018 comeback season (15:15), including his issues with the putter (24:00) and how over-under picks for Tiger Woods' wins in 2019 (25:16). Kyle Porter and Chip Patterson recap Phil Mickelson's win against Tiger Woods in The Match. First, grading the viewing experience (2:00), the best moments from the side bets (8:00), what to expect from the future of "The Match" franchise (12:30) and why Phil is always going to be more comfortable than Tiger in this situation (19:30). Kyle Porter and Chip Patterson preview the upcoming holiday weekend match between Tiger Woods and Phil Mickelson. Topics include: Charles Howell III win at the RSM Classic (2:00), picking our favorite props (10:00) for "The Match," the motivations for both players (14:00) and realistic expectations for the actual golf we'll see on Friday, including a best case scenario and the match winner. Kyle Porter and Chip Patterson discuss the latest in golf. First, the winners and losers of the Rory scheduling drama (2:00), where Zach Johnson stands among the great golfers of this era (14:00), how the PGA Tour is getting younger and what it means for players in their late 30s (20:00), and expert picks for the RSM Classic in Sea Island (28:30). Kyle Porter and Chip Patterson react to Bryson DeChambeau's win in Las Vegas over the weekend. First, Kyle explains why he's selling his Bryson stock (5:00), and there's a debate about whether he's a top-five golfer right now (15:00). Then its on to Jordan Spieth's trend line heading into 2019 (23:30), Justin Rose taking over the No. 1 world ranking (27:15) and expectations for the weekend action in Mexico (33:15). Kyle Porter and Chip Patterson break down where Xander Schauffele stands among his peers after his third win (2:00) and other takeaways from the HSBC Champions (14:00). Plus, where Jordan Spieth's benchmark should be for 2019 (24:00), and a preview the weekend action in Las Vegas (29:45). Kyle Porter and Chip Patterson break down Brooks Koepka's win at the C-J Cup, his rise to No. 1 in the World Rankings and debate how much value should be placed in being in No. 1 (2:00). Plus, checking in on our excitement levels for the Tiger-Phil Thanksgiving Pay-Per-View event (20:30) and a preview of the WGC-HSBC Champions (26:30). With Johnny Miller stepping away from the booth, Kyle and Chip predict which current Americans might have a path to television in their future (1:00). Then it's on to the hard evidence and reasoning behind why Tiger's 2019 will be better than his breakout 2018 season (20:00) and expert picks for the CJ Cup this weekend in South Korea (27:15). CBS Sports senior golf writer Kyle Porter joins Chip Patterson to preview the weekend on the PGA Tour. First is a deep dive into the complicated turnaround from one season to the next in the fall around the PGA Tour Player of the Year announcement (2:00) and what changes might coming to the fall schedule starting in 2019 when the PGA Championship moves to may (19:00). Then expert picks and a preview for the CIMB Championship and a discussion examining whether Xander Schauffele is overrated (25:00). Kyle Porter and Chip Patterson recap the 2018 Ryder Cup, explaining why the United States' performance was embarrassing (3:00), why the European side has been so dominant in this series on European soil (10:00), but also the positive takeaways -- like the Jordan Spieth and Justin Thomas pairing (17:40) and the stellar play of Webb Simpson (38:45). In a season that was dominated by the rush of Tiger Woods' return to contending in major championships, what better way to bring it to a close than his first victory since 2013? Kyle Porter and Chip Patterson talk about the memorable performance (3:00), his apparent embrace of the fanfare surrounding it all (10:00) and more takeaways from the Tour Championship (16:30). Plus early Ryder Cup week thoughts (20:15) and more. Kyle Porter and Chip Patterson discuss the big announcement from Congressional Club (2:00) and the changes coming to the Tour Championship and FedEx Cup starting in 2019 (7:30). Then its on to the Tour Championship at East Lake, where Tony Finau is making a run at winning without winning (22:00), Tiger Woods' performance will dictate the conversation for 2019 (24:00) and some of the top American golfers are looking to gain some momentum heading into the Ryder Cup (27:00). Kyle Porter and Chip Patterson recap Keegan Bradley's win over Justin Rose in the BMW Championship (5:00), the big takeaways from Tiger Woods going low (10:00), why the European Ryder Cup locker room is hard to root against (22:00) and a side-by-side comparison grading the United States and European Ryder Cup teams against each other (27:00). Kyle and Chip break down what Bryson DeChambeau's win means for his Ryder Cup chances and the potential scenarios ahead with the captain's pick announcements in the coming weeks (5:00). Plus, slowly getting used to what to expect from Tiger (12:00) and picks for the weekend playoff action in Boston (24:00). Kyle Porter and Chip Patterson discuss the golf rarity that was Brant Sneder shooting 59 with a bogey (3:30), whether Jordan Spieth or Rory McIlroy is more likely to make a late run in the playoffs (12:00), Tiger Woods' FedEx Cup forecast (19:30) and players could earn or solidify Ryder Cup captain's picks in the first two playoff events (25:30). Kyle Porter is back from the PGA Championship, joining Chip Patterson to talk Tiger's performance and what it says about his future in major championship golf (3:15), a deep dive into Brooks Koepka's place among golf's elite after his third win in six major starts (23:00), Rory roasting Kyle's footwear in the middle of a round and other behind the scenes stories (43:45). Also, predictions and expectations for the Ryder Cup captains picks (59:40). Kyle Porter and Chip Patterson preview the 100th PGA Championship, starting with Kyle's preparation for on-site coverage and what to expect from the course (1:30). Then they guys break down Justin Thomas' WGC win (6:30), and what we saw from Tiger Woods (10:00) and Rory McIlroy (18:00) as all three prepare to play together at the PGA Championship. Plus, about that Phil commercial (24:00) and expert picks the week's action at Bellerive (30:00). It's a road game for Kyle Porter and Chip Patterson but the First Cut takes no weeks off, particularly during golf's elite early August schedule. First, why WGC's, and Bridgestone in particular, get overlooked (2:00), Dustin Johnson's chances to dominate the next couple of weeks (6:15), what Kyle saw at The Open that has him confident in Rory McIlroy (9:00) and plenty of Tiger talk regarding expectations for Firestone and the PGA (16:25). Plus, a philosophical conversation on how the value of wins, missed cuts, top-10s and how the financial side of golf has changed players' approach to tournaments compared to decades before (21:00), Bryson DeChambeau's meltdown in Germany (27:05) and Ryder Cup roster watch with two weeks left for players to qualify automatically (31:00). Kyle Porter and Chip Patterson recap an incredible Sunday and weekend from Carnoustie. Tune in as the guys discuss The Open proving why its up there with The Masters as the best major championship (2:30), what to make of Tiger Woods' performance (5:00), props for Francesco Molinari as a worthy champion at the top of an all-time leaderboard (19:00), what went wrong for Jordan Spieth and what it means for the rest of the season (28:00) and how Rory McIlroy impressed with his ability to grind when not everything was going his way (39:45). Kyle Porter and Chip Patterson preview the biggest storylines and make picks for the 2018 Open Championship at Carnoustie. Discussion topics include the course conditions (2:30), why Tiger Woods is best-suited to win The Open of all the majors (11:30), expectations for defending champion Jordan Spieth (17:30), Brooks Koepka's consistency in the majors (28:30), Sergio Garcia's success at The Open (31:45), expectations for the top American golfers (40:10) and much more, including picks to win, top-10 locks and sleepers. Reaction to reports of a Tiger Woods-Phil Mickelson money match has golf fans divided on whether such exhibitions are a good or bad thing for the future of the sport. Kyle Porter and Chip Patterson weigh in with response to backlash and a fresh take on the Tiger-Phil bromance storyline in 2018 (1:00). On the course, Phil's antics resulted in another penalty on Sunday (15:30) but the biggest storyline was Kevin Na's return to the winner's circle (25:30). Across the pond, why Rory McIlroy's Irish Open performance doesn't bode well for his chances to win at Carnoustie (38:45). Kyle Porter and Chip Patterson break down what to make of Tiger Woods' performance at the Quicken Loans National (2:30) and discuss what makes Francesco Molinari such a dangerous threat in the Ryder Cup and one of the game's underrated stars (19:30). This week's Ryder Cup lookahead focuses on the European team, and what potential matchups the United States might have in looking for a victory in Paris (31:30). Plus, debating and gauging the reaction to the cheating allegations against Sung Kang (43:30). Sean Martin of PGA Tour is back on the show with Kyle Porter and Chip Patterson to take stock of what's happened so far and what we can expect from the rest of the PGA Tour season. The conversation begins with major winners Brooks Koepka (1:45) and Patrick Reed (3:40), before turning to a firm but fair rating not only of Rory McIlroy's 2018 performance but his profile and legacy at this point in his career (7:30). Kyle provides an argument that every major runs through an American star (16:30), the trio discusses how to rate Dustin Johnson and Jordan Spieth at this point in their respective careers (19:15), how Rickie Fowler's 2018 compares to his 2017 so far and everyone's favorite game of projecting and picking Ryder Cup rosters for Paris (31:15). Kyle Porter is back from Shinnecock Hills! He and Chip Patterson to discuss winning the U.S. Open again has changed our perception of Brooks Koepka's place among the top golfers in the world (3:45), what went wrong for Dustin Johnson (12:30), Patrick Reed's Sunday surge (19:00) and the shots Tommy Fleetwood left out there during his round of 63 (23:00). Then PGATour.com's Sean Martin joins the show to discuss Phil Mickelson's antics and the theater around the USGA at these events (35:00) and preview the Travelers Championship (47:00). U.S. Open week has arrived! Before Kyle Porter travels to the tournament, he and Chip Patterson discuss Dustin Johnson as this year's favorite (7:00), the mounting pressure on Phil Mickelson to complete the grand slam (17:00) and what to expect from Tiger Woods (23:30) before getting into the history of Shinnecock Hills, what kind of players might benefit from the course setup (27:00) and some over-under predictions regarding the scoring at this year's championship. Plus, predictions for Rickie Fowler (41:30), Jordan Spieth (47:30), Justin Thomas (51:30) and Rory McIlroy (57:00).